It&apos;s part 2 of a three part story, so of course all heck is breaking loose, from an apparently dead helper, to a companion that just made a bad decision, and a next-time-trailer showing Missy plotting something, the Doctor working with the Monks, and someone being shot. Just like the proverbial Hero&apos;s Journey, every Doctor Who story goes through the belly of the beast before the hero emerges at the end with a treasure. What we have this time is a question about putting yourself at someone else&apos;s mercy when that person can control your perception of reality. Do you have the necessary wisdom to perceive correctly whether that person is deluding you into a bad choice? These monks are wearing robes of similar color to the Saffron Robes used by Buddhist monks. These monks seemingly are respectful of your right to choose for yourself, and ask whether or not the person is choosing from love. These monks asked people-of-power to choose to put themselves at the monks mercy AFTER the monks had shown them visions of the future. These monks have the equipment required to create simulated reality. 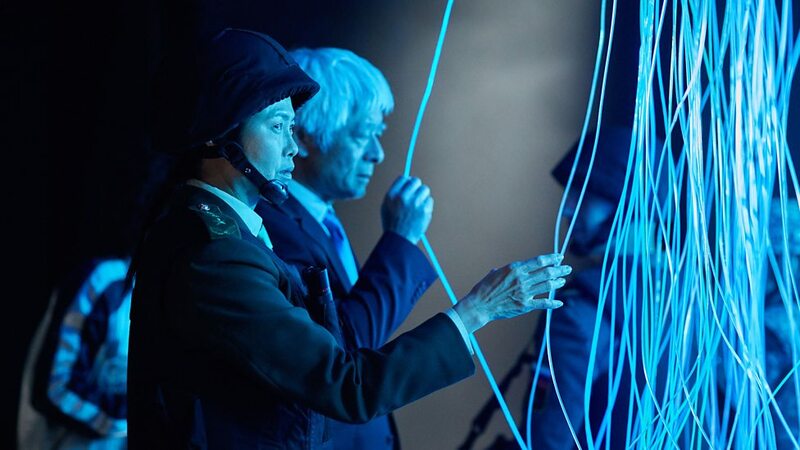 The Monks inserted their Pyramid-space-ship into the middle of a fictional stand-off between Russia and China and America military forces. That&apos;s an implausible face-off isn&apos;t it, because while Russia and China share a long common border they&apos;ve fought over in the past, the USA does not share borders with them, so how is it that American forces got there? That&apos;s not explained. In any case such a face-off is presented as a potential grave threat to world stability, except it wasn&apos;t, it was a biochemical research facility in jolly-old-England where a mistake had been made that was going to launch a biological armageddon that would kill everyone on the planet. That&apos;s the moment the Monk&apos;s chose to make themselves known. In offering salvation to the World from said threat, the monks made an interesting request. That the world leader who asks for help from the monks must ask from a state of love. In theory that&apos;s a well-intentioned stand. As stated, it is extremely respectful of the world leader who is facing a crisis. It&apos;s almost as if those Monks might actually be highly evolved spiritual beings. Those nearly-saffron-colored robes might actually correspond to having taken monastic vows in a proper religious hierarchy with authentic spiritual traditions. Another attribute of this observation is what happened when military leaders launched an attack. Instead of a bombing or missile strike, energy rays shot out to divert the missile and bomber, and the crews were teleported into the pyramid and then released. There are plenty of stories of high spiritual adepts causing similar things. For example Padre Pio -- a Catholic Priest widely regarded as a miracle worker -- is said to have appeared as an apparition in front of Allied bombers over Italy during World War II. and thereby averting a bombing of some place. Similar things have been attributed to various Saints, that the vision of a holy man or saint would appear during a battle causing the battle to take a different path. Are these Monks that sort of spiritual adept? They sure look hideous and it would be easy to say they were demonic. But the course of Doctor Who history has had several hideous looking monsters who were actually the good guys. BUT ... there is a very significant flaw in what these monks did. In the heat of a crisis, a set of world leaders were brought into the Monks base, their pyramid. A control chamber in the pyramid&apos;s center was made of strands that I took to be something like potential timelines. Those world leaders were asked to hold those threads, and they received visions of the future. And then they were told the planet was under immediate threat, and would they want the monk&apos;s help. The question is -- were those visions accurate? Or did the monks fabricate visions in order to get those world leaders to agree to ask for help? We&apos;ve already seen the monks as manipulators. Their technology lets them run simulations of possible realities so they can choose the best plan. Are the visions being used to coerce and manipulate world leaders into capitulating? Asking a particular question tends to lead the answer in a particular direction, does it not? When asked within a context of duress -- such as a prediction of everyone on the planet dying -- wouldn&apos;t that tend to force a given decision? The Doctor said something about having seen other destroyed worlds. He&apos;s obviously worried these monks will manipulate Earth&apos;s world leaders into a line of decisions that ends up with the monks destroying everything. That&apos;s an interesting line of reasoning, and we won&apos;t know until next time what&apos;s up. I want to return to something represented by this. 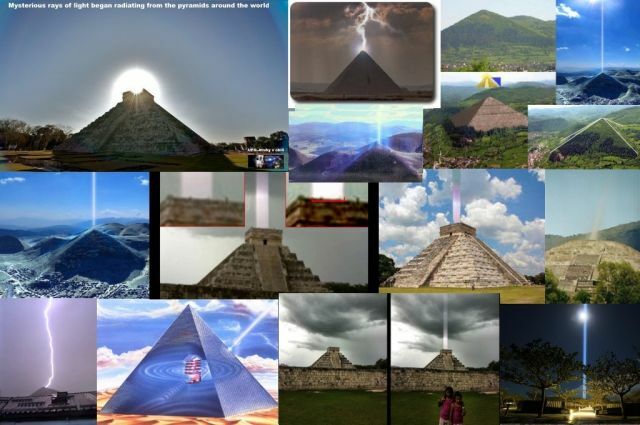 The "new age" subculture has lots of similar artwork, with rays of light emanating from the apex or other places on a pyramid. In other words - did the Doctor Who team want us to take these monks as this sort of spiritual adept? As presented it&apos;s not a spiritual power, but a technological power. That these monks have a "technology" that lets them do these kind of things. 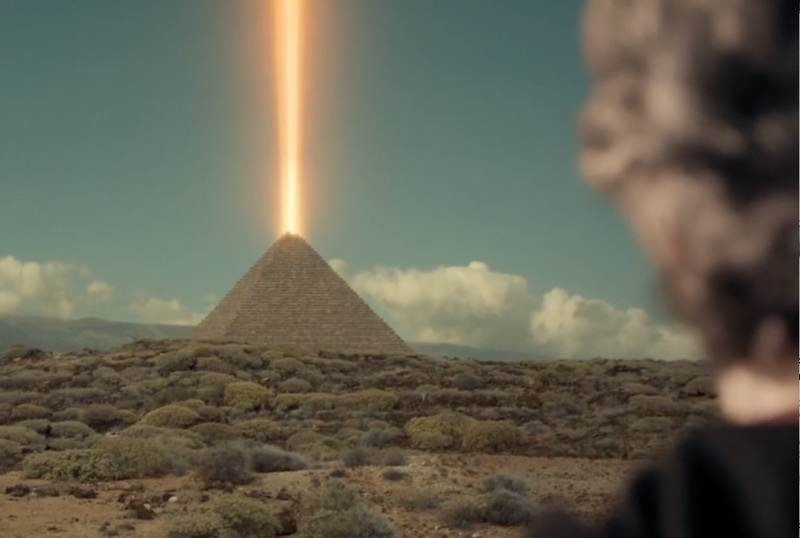 And, the history of Doctor Who has many instances where a highly advanced technology is doing things we might have called magic. For example, in The Unquiet Dead (9th Doctor story), what appears to be ghostly visitations turn out to be marauders from another dimension who are attempting to jump dimensional barriers to cause some mayhem. It&apos;s likely the story will end up in a similar place - that these "monks" aren&apos;t high spiritual adepts, but simply people with highly advanced technology.